A recent news article1 reported that certain types of stars2 in our Milky Way Galaxy have more lithium (Li) in their stellar atmosphere than the current models predict. 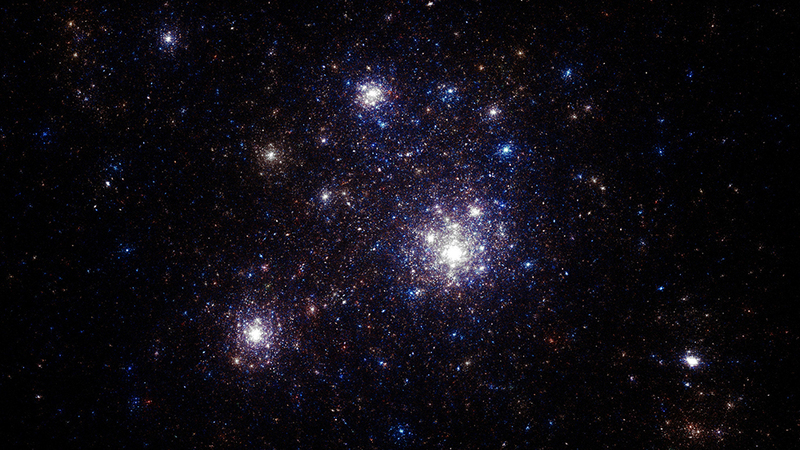 Before 1982, it was generally believed that Li abundances in “unevolved” low-mass stars3 with low metallicity4 were constant as predicted by Big Bang nucleosynthesis models. However, in that year a closer analysis of the observed abundances showed a primordial Li abundance for metal-poor main sequence stars approximately three times lower5,6 than what was predicted by the models. The recent scientific article2 found Li abundances approximately 100 times higher than those observed in the 1982 research,2 by Spite and Spite, and approximately 68 times higher than the primordial abundances predicted by the Big Bang model. Why is there so much 7Li on the surface of the 12 low-mass, low-metallicity stars observed in the Milky Way halo by the authors of reference 2, and why is there such a significant discrepancy between the models and the observations? It remains an unsolved mystery. Haining and collaborators2 have offered three possible explanations for the observed 7Li excesses. First, they proposed that the low-mass, low-metallicity stars with excessive 7Li could be engulfing planets with a high-lithium abundance. However, they admitted that efficient planet formation is not expected from current planetary formation models for the main-sequence, low-mass stars. 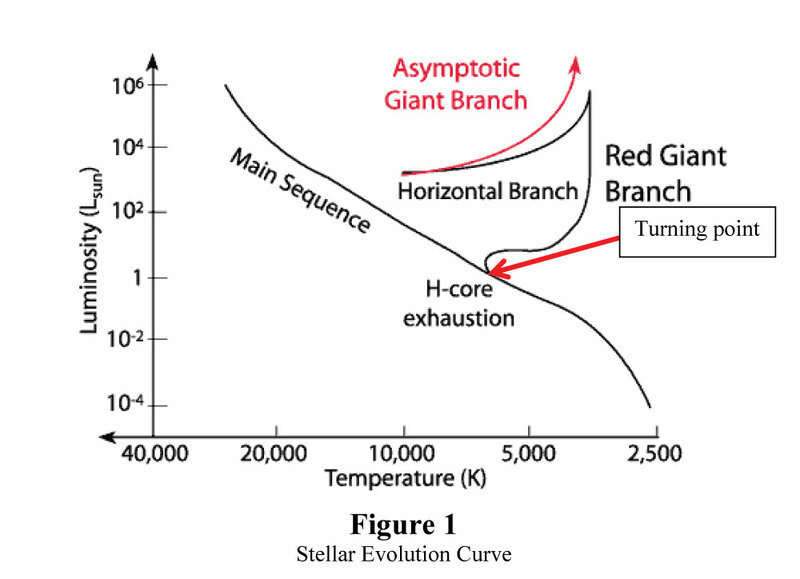 A second proposed solution was that the accretion of matter from a companion star, such as a “highly-evolved” Red Giant (RGB), could provide the necessary observed lithium. But this explanation wouldn’t be consistent with the other observations of the 12 study stars. Finally, they hypothesized that nova explosions might be the source of the excess lithium observed. However, no model currently exists for how the material from nova explosions could be accreted into the outer layers of main sequence low-mass, low-metallicity stars. So, the conclusion of the authors was that there are still unknown processes in main sequence low-mass stars—it appears they are admitting that they simply don’t know. 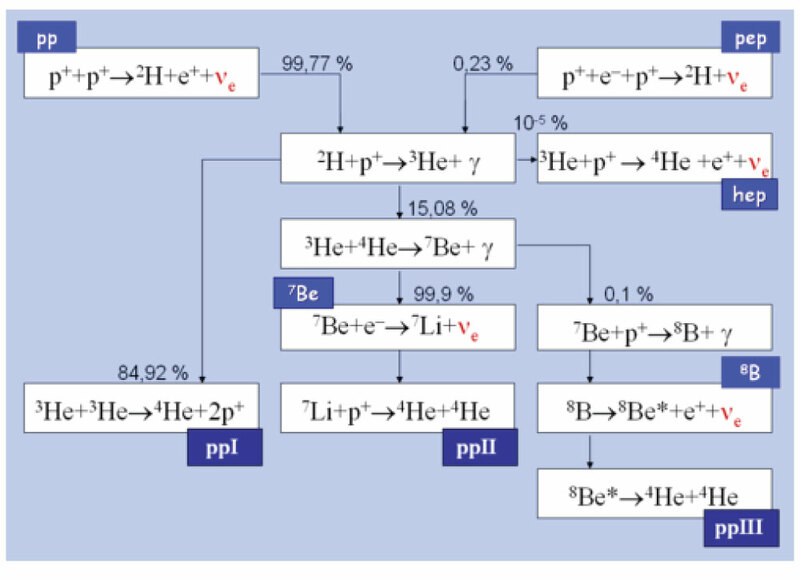 The currently accepted model for stellar nucleosynthesis in low-mass main sequence stars like our sun is the proton-proton chain (PPC) process (see Figure 2). 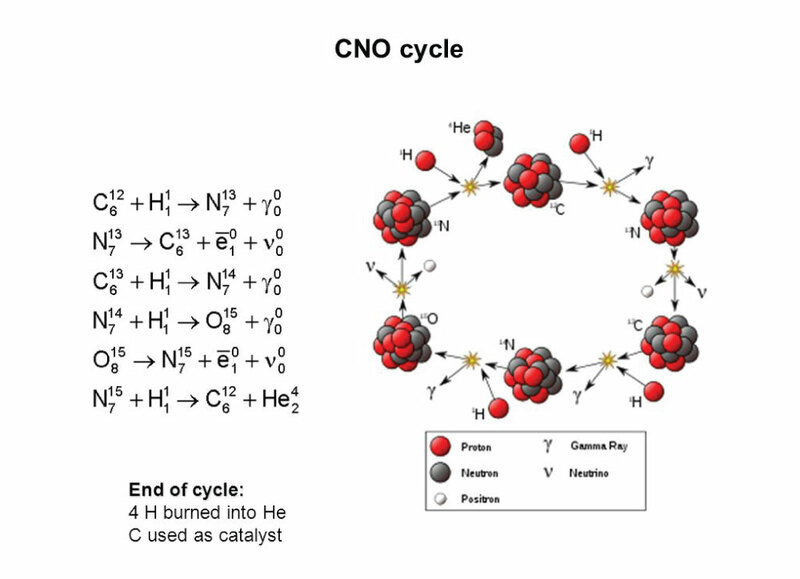 For higher-mass stars the Carbon-SNitrogen-Oxygen cycle (CNO cycle) process (see Figure 3) is the dominant process for burning hydrogen. According to conventional consensus, stars in this particular study are still burning hydrogen via the proton-proton chain and therefore it was expected that the 7Li produced by the 2H, 3He, 7Be branch would be mostly burned up by the 7Li + p+ → 4He + 4He nuclear reaction. This reaction can occur only if the incident proton acquires enough energy to overcome the coulomb barrier between it and the 7Li nucleus. That energy is approximately 1.5 MeV which would correspond to an average core temperature of approximately 1.7 X 1010 °K. We cannot directly measure the core temperature of the 12 stars mentioned in the article but if their core temperature is less than 1.7 X 1010 °K, then it’s unlikely that the proton capture reaction can burn the 7Li produced by the 2H, 3He, 7Be branch of the proton-proton chain. Then one would expect 7Li to accumulate in the atmospheres of these stars as observed. The Big Bang model is barely able to be considered a viable hypothesis much less a theory, law, or fact. There is still much we don’t know about the origins of the elements and their distribution throughout the universe. The Big Bang can only predict the relative abundances of hydrogen and helium in the universe by tweaking an adjustable parameter called the “baryon-to-photon ratio,” and although it successfully predicted the existence of the Cosmic Microwave Background (CMB), it cannot account for all of the universe’s features. It’s a model that is barely able to be considered a viable hypothesis much less a theory, law, or fact. The Bible got it right—the stars were uniquely designed by an omnipotent creator7! Grossman, L. Stars with too much lithium may have stolen it. Science News. Posted on sciencenews.org January 23, 2018, accessed March 18, 2018. Haining, L. et al 2018. Enormous Li Enhancement Preceding Red Giant Phases in Low-mass Stars in the Milky Way Halo. Astrophysical Journal Letters. Vol. 852 (2): 1-12. Low metallicity: Astronomers typically call all elements more massive than helium “metals.” The metallicity (or Z) of a star is the fraction of a star’s mass that is not hydrogen or helium. Thus, a low metallicity would infer most of the star’s mass is almost entirely hydrogen or helium. It is generally believed that older generations of stars have lower metallicities than those of younger generations. Spite, F. and M. Spite. 1982. Abundance of Lithium in unevolved Halo Stars and old disk Stars. Astronomy and Astrophysics. 115 (2): 357-366. Piau, L. et al. 2006. From First Stars to the Spite Plateau: A Possible Reconciliation of Halo Stars Observations with predictions from Big Bang Nucleosynthesis. The Astrophysical Journal. 653 (1): 300-315.